Burklin had it all: a spacious two-story house, a shapeshifting wife, a wide open future. That is, until his father ripped out his soul and trapped it inside an opinionated dachshund. Now he’s lost everything, leaving him a slave on mop-up duty for a homicidal teenage demon. His father is sleeping with his ex, the possessed dachshund won’t stop talking, and the cleanup jobs keep getting messier. Burklin would give anything to have his life back–even if it means turning against his manipulative father and destroying their chance of winning the Nether’s Demon Lord Sweepstakes. This is a crazy mix of a story. It has a unique plotline with very interesting characters. It is meant to be a dark humour story. That said, I didn’t really enjoy it, because I didn’t find it funny. There were a few scenes that had me smiling, but overall, it was a little too much for me. I did enjoy some aspects of Pearl. The lighter, snarkier side of her with her condescending attitude toward Burklin were amusing. Her constant bodily functions and desire to eat human flesh? Not so much. I felt sorry for Burklin. Not his before side; that Burklin was a jerk. But the new Burklin is at the mercy of his dog’s actions, and his father’s demands. He`s a sad character, and deserves some sympathy, even if his previous actions are the cause of his current circumstance. There is a lot of violence, crude humour and foul language in the story. It won`t appeal to everyone, but will definitely amuse a certain type of dark humour-loving reader. 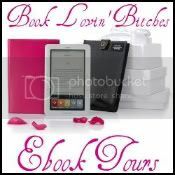 Be sure to check out all the stops in the book tour. 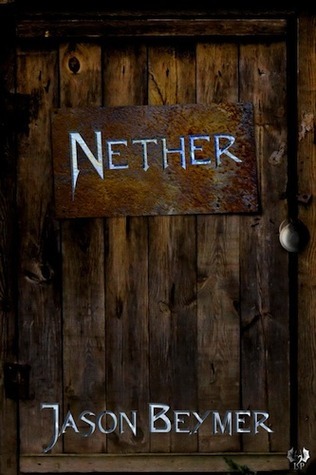 Come back here on July 28 for a giveaway of Nether.